Kayellen Edmonds-Umeakunne, MS RD LD is a Registered Licensed Dietitian Nutritionist and Researcher interested in diet related health disparities and disease prevention in people of African descent. She was Director of the Emory University Clinical Research Center Bio-nutrition Core for 13 years. Kay currently directs the Bio-nutrition Core and Body Composition Lab at Morehouse School of Medicine. In addition, she serves as Research Committee Chair for the Academy of Nutrition and Dietetics Vegetarian Nutrition Dietetics Practice Group, and Southern Regional Representative for the National Association of Bio-nutritionists. Kay recently completed the NIH/NCI John Milner Nutrition and Cancer Prevention Practicum. She also provides teaching and research training experiences for nutrition students through an MOU agreement with Georgia State University. Ms. Edmonds-Umeakunne is a Co-Investigator in an ACTSI funded study at Emory on Weight Loss Satiety and Legumes. In addition, Kay provided the recipe analysis for the 2nd edition of the National Cancer Institute (NCI) and Georgia Regents University funded Down Home Healthy Living Cookbook which will be used in conjunction with screening efforts for colorectal cancer. 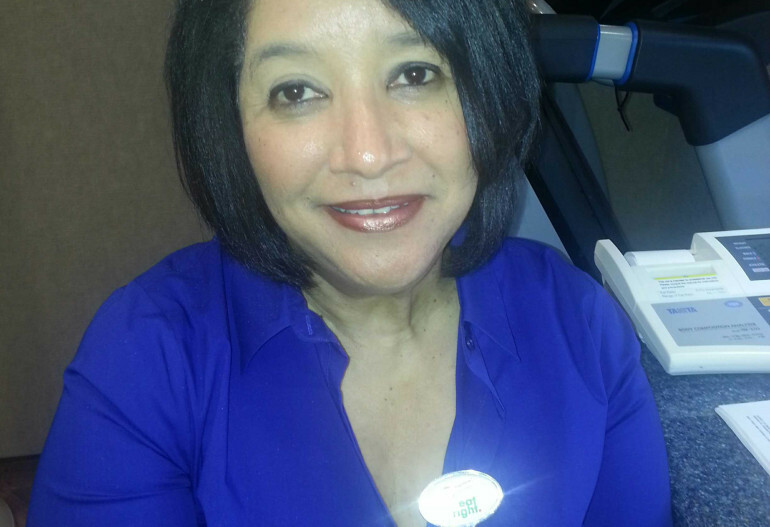 Ms. Edmonds-Umeakunne has extensive experience working with the Dietary Approaches to Stop Hypertension (DASH) Diet including designing and providing well-controlled DASH Diet meals for NIH supported studies using a traditional DASH and Plant Based DASH Diet approach. Kay has been an invited speaker for the American Kidney Fund conference, and National Kidney Disease Education Program (NKDEP) coalition dietitian to prevent kidney disease in African Americans. She is author of a book chapter on “Approaches to Successful Nutritional Intervention in Renal Disease”; in the 4th edition of the Handbook of Nutrition and the Kidney, Mitch WE and Klahr, S, editors. Kay was recently an invited speaker at the 2014 Academy of Nutrition and Dietetics Food and Nutrition Conference presenting on Food Fermentation and the Gut Microbiome. Ms. Edmonds-Umeakunne is co-inventor on a patent in the US, Canada and South Africa for a Nutritional Supplement for patients with Sickle Cell Disease. She actively volunteers in her church and community providing nutrition education, food demonstrations and fresh fruits and vegetables for the homeless. Kay is a member of the Knights of Peter Clavier Ladies Auxiliary Court 300. In addition, Kay loves working with educating our youth. Kay served as Vice President and Scholastic Coordinator for the Georgia Chess Association, as well as Transportation Coordinator for the Emory Castle Chess Camp for over 7 years. She also founded both the “Mighty Knights” Chess Camp and “Lady Bughouse” All-Girl Chess Camp, the first ever in the state of Georgia at which the honorable Grandmaster Susan Polgar came all the way from New York to teach. Kay was born and raised in Pittsburgh, Pennsylvania in a loving home where 4 generations lived together. Her grandparents were one the first African American Florists and business owners in Pittsburgh, including locations on the Northside and historic Hill District. She has a wonderful mom, sister, nieces, and nephews. Her biggest pride and joy is her son, Chima Umeakunne, four-time Georgia State Chess Champion and recent Honors Program Graduate with Honors from the Georgia Institute of Technology.